I would count today as one of the best we have had in New York. A breathtaking view from the top ofmthe Rockerfeller Centre, a walk through the Museum of Modern Art - (MoMA), some shopping, and lunch at Momofuku. Talk about bucket list stuff. We spentman hour on the viewing decks on the 66th - 70th floors at the iconic Rockerfeller Centre. I went crazy with my camera and took photos from all angles. Here are a few I took with my iPhone. I liked this view the best. You can see Central Park and the way the East and West streets are divided. And then I crossed sides and liked this view the best. Oh I couldn't decide. We are just so damn lucky to be able to experience this city. The view of the Empire State Building and the rebuilt World Trade Centre. 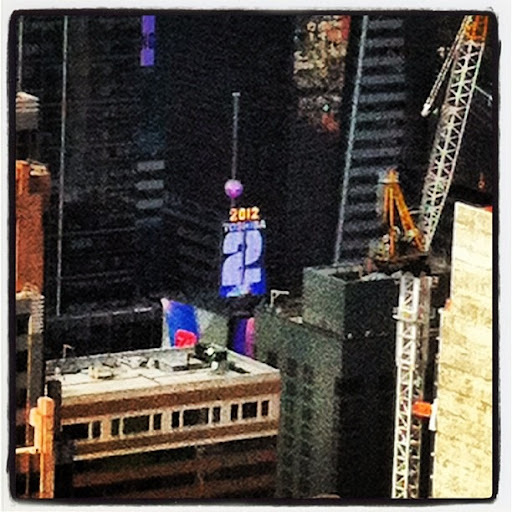 We saw the Times Square ball in the concrete jungle - displaying 2012, reminding me that 2012 is the best year ever! Mum bought a new dress in Conneticut. Doesn't she look fabulous? And I have been perfecting the art of the selfie. There is a wall of Swarovski crystals one one of the viewing floors. I thought it is quite pretty. Mum and I sat inside in the cool and took it all in (I Instagrammed the hell out of my photos thanks to the free wifi there). After the Rockerfeller we had a quick shop - Mum bought a dress and I was amused by the pushy sales women. We sat and enjoyed fruit smoothies from a street van. This was the view from our bench. 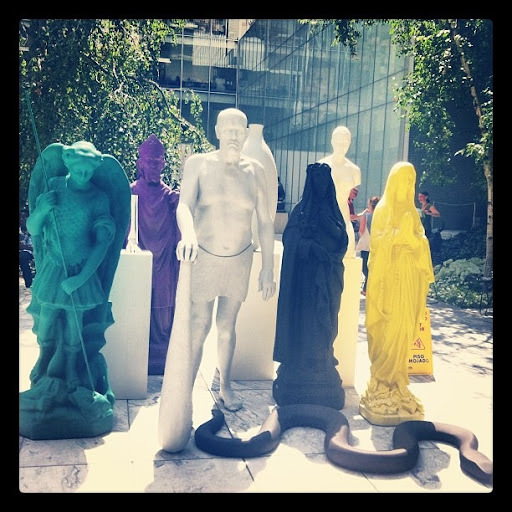 We wandered to MoMA - which was founded by the Rockerfellers - and took in the sun and the sights, starting in the sculpture garden. It was filled with bronze sculptures, flowers and edible gardens and fountains. A very peaceful place. I looked up and saw this view. I just love the architecture here. MoMA is filled with contemporary art - paintings, sculptures and multimedia. I liked it better than the Tate Modern in London. This is my favourite - part of an exhibition called Game Plan by Boetti - a collection of carpets and flags. 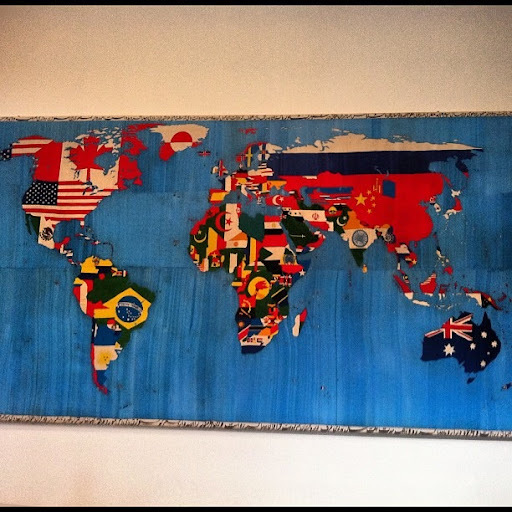 Boetti embroidered four wold maps with flags representing each country. Amazing huh? Of course we went to the MoMA gift shop - so many things I would love to take home! I wanted a light shade, a bubble necklace and some kitchen gadgets. Instead I bought a card cutout map of the New York City skyline. 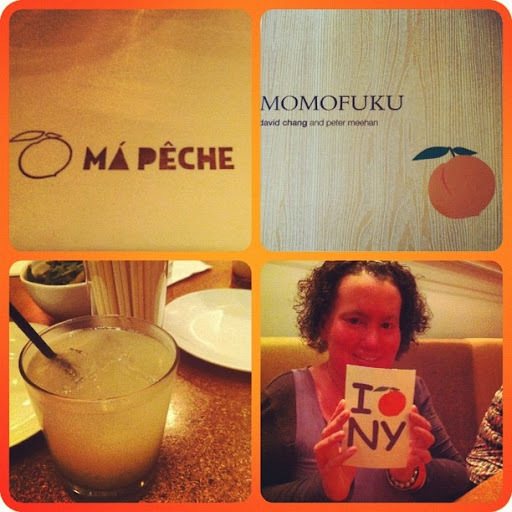 The final thing we did today was eat lunch at Momofuku's Ma Peche and the Milkbar. Ma Peche is located downstairs and the Milkbar is on the street level. Momofuku has been a restaurant I have wanted to visit during this trip. The food we have earen here has been pretty bad, so today I was so happy to be there after today. I had heard a lot about the chain on American food podcasts, so my expectations were high. And they were met. The service was great, the food was fancy yet the prices were affordable, and it was in a great location (W 56th St between 5 and 6 Avenue). Our waitress suggested a ginger soda - it had been made fresh from ginger root. It was so zingy and refreshing. The menu is made up of salads, steamed buns (pork and fish), sandwiches and noodles. We shared a salad - summer beans, strawberries, yoghurt and peanuts. 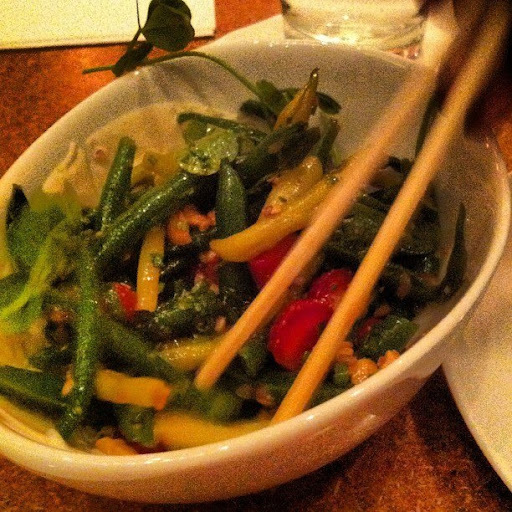 It was so good to have vegetables! The salad was light and really flavoursome. I will definitely be making it through the summer. This photo does not do the colours justice - it really did pop. For mains, I chose the pork buns and Mum had the roast beef, tongue and mushroom sandwich. The pork buns were described by Mum as "to die for" - the pork was fatty and tender, the hoisin was not too salty, and the cucumber and shallots complimented the pork well. 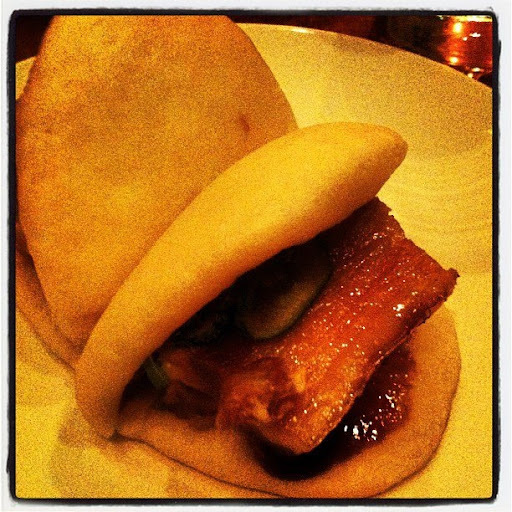 The buns were steamed just right. Perfection. I had a bit of Mum's sandwich - I loved the tender meat (even the tongue!) and really enjoyed the yoghurt paprika dressing. So good! 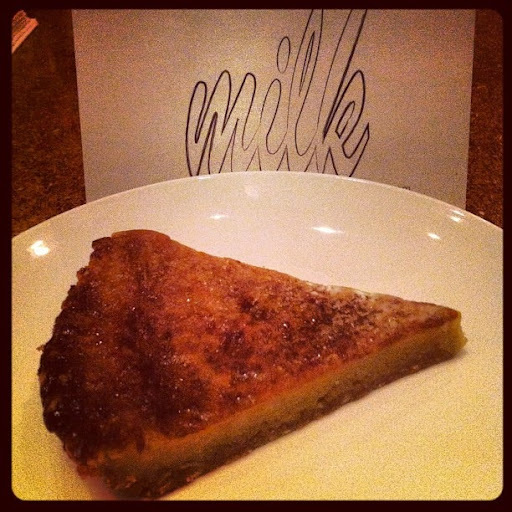 And then, the moment I had waited for since I had heard about it on American Splendid Table - dessert from Momofuku Milkbar. We both chose crack pie - named crack pie because of its sugary, addictive nature. There is a recipe here. It tasted sugary, buttery, oaty - so delicious. 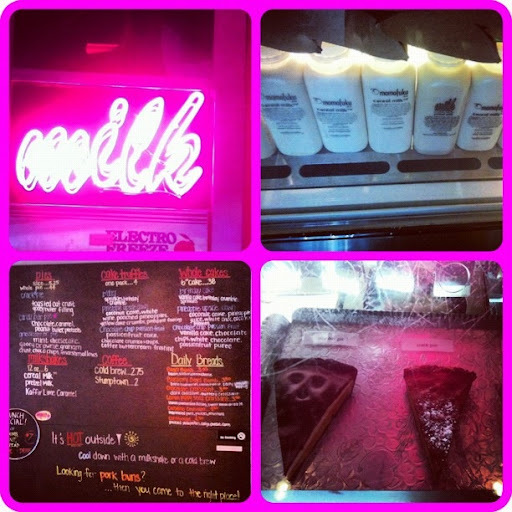 The Milkbar sells milkshakes (including cereal flavoured), cookies (including the legendary compost cookie) and pies. It also sells the Momofuku and Milkbar cookbooks and totebags. I said to Mum, we are so lucky to experience this. So very lucky. What a beautiful day. Hi Carly! 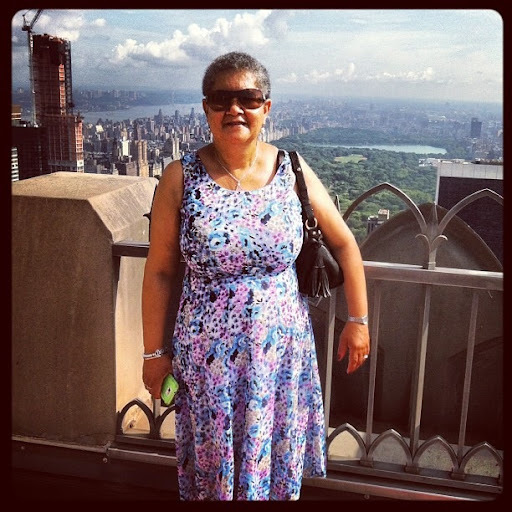 Both you and your mom look fabulous, love her dress, and your outfit and accessories are terrific. You're gorgeous girl, and now I want a hat just like yours! Hope you are loving NY, looks like you're both having a blast. The food, the sights...the food...the food...it's all making me so homesick, but I'll take my trip vicariously through you. Will have to catch up on all your photos. Enjoy the rest of your visit! Now you're making your way around the city like a New York native. Just an explanation of history and geography. The Dutch and then the English settled in Manhattan in the early 1600s, but only on the very southernmost tip. The earliest streets were either old Indian trails or cowpaths, which is why the streets in Lower Manhattan are narrow and crooked. In 1811 a plan for the "grid" of streets and avenues was designed, in which broad avenues went north and south and streets went east-west. That's the rectangular grid that you can see north of 14th Street. 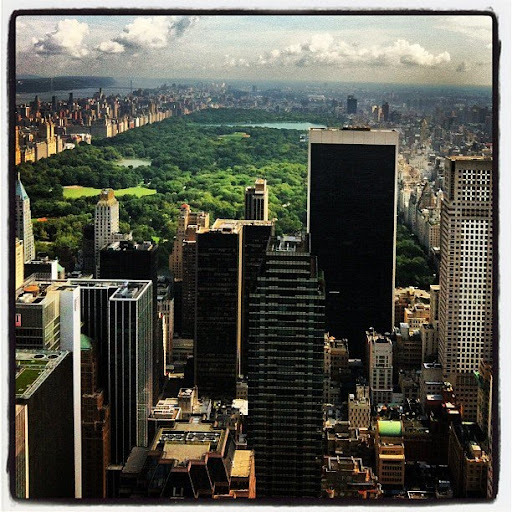 Although the plan was in place, most of Manhattan remained a forest, with small villages scattered about. There were actually hills, streams, and woodlands as far as one could travel. Central Park itself wasn't part of the plan, that came along in the 1860s. And the roads that were on the map, weren't cut into until real estate developers moved ever northward, as well as stretching east and west, to the riversides. 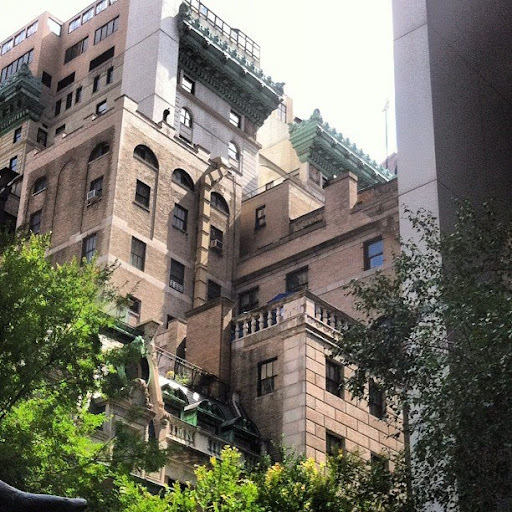 I hope I haven't bored you with this; I bore everyone with my fascination with NYC history. Last year I went to a Martha Stewert Show taping and Christina Tosi was guest (the owner of Momofoku Milk Bar). She showed us how to make cereal milk and then baked the most beautiful buttery cornflake cookie which I got to take back to our Harlem Apartment. AND we got the Milk book she had just written too. It's an absolutely amazing book - if you get the chance to have a look at it, do! just the photo of her gutter ice cream sundae make it worth it. 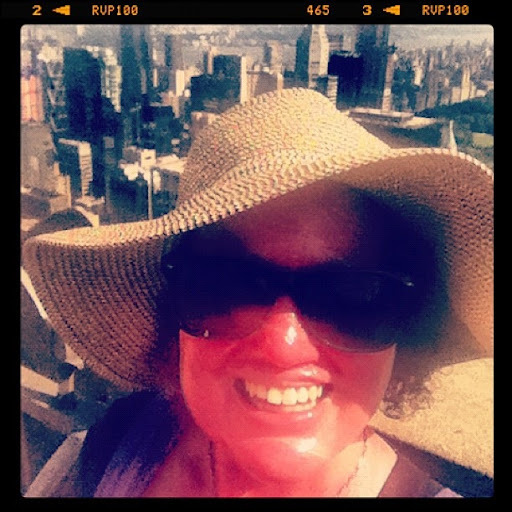 My mum and dad are currently sitting on a plane at Brisbane Airport waiting to depart for US and New York and I'm so jealous of them (and you!) right now. If you get the chance, go to Katz Delis on Lower East DSide for a pastrami sandwich on Rye. Also El Centro in midtown (54th st I think? They have a website) has fantastic Mexican with FRESH salad vegetables. It's fantastic. What an amazing day Carly! I'm so glad that after a rough start New York is treating you well. P.S. Your Mum's new dress is ace. Now I want to visit New York! 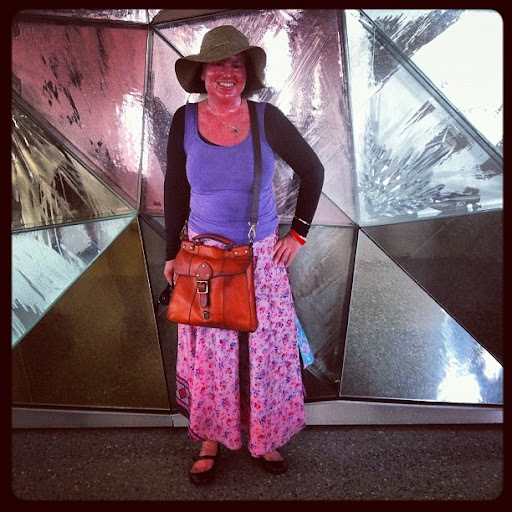 I am glad your trip gets to inspire all of us! Awesome pics! I love your outfit! Ohhh, I totally had the same issue with picking a favourite view from Top of the Rock! And loved spotting the ball from Times Square too! That world map is awesome!